Liz Walker - Award Winning Journalist Engaging, Changing and Inspiring People Through the Power of Words. 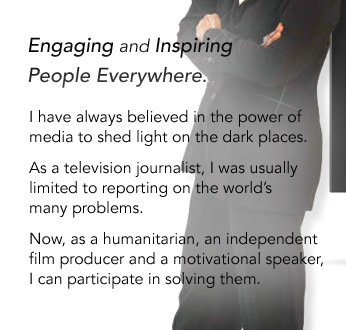 For speaking engagements please click here. From college campuses to corporate boardrooms, Liz has received rave reviews for her inspirational messages. The world is changing so fast and the times are so challenging it's easy to become jaded and disillusioned. Liz offers some inspiring thoughts on finding hope in time of fear. Here's your opportunity to ask questions, respond, or suggest your own ideas for Better Living.